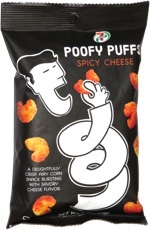 Taste test: These are excellent chips  quite tasty, and the inclusion of chives is a good change from the standard sour cream and onion. 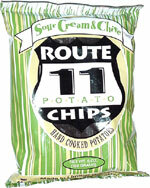 They're similar in flavor to Cape Cod's sour cream and chive chips, but these chips seem to be a bit thicker. They're a bit more moist and less crisp than Cape Cod chips. Smell test: Good, potatoey smell.